This description is from Dan, the museum’s curator of vertebrate zoology. He’s chosen a selection of objects that represent the most fascinating animals in the Museum’s collections, that we’ll be sharing here – and on hmns.org – throughout the year. The Blue-billed Curassow (Crax alberti) is a large bird that is endemic to the mountain valleys of northern Colombia. 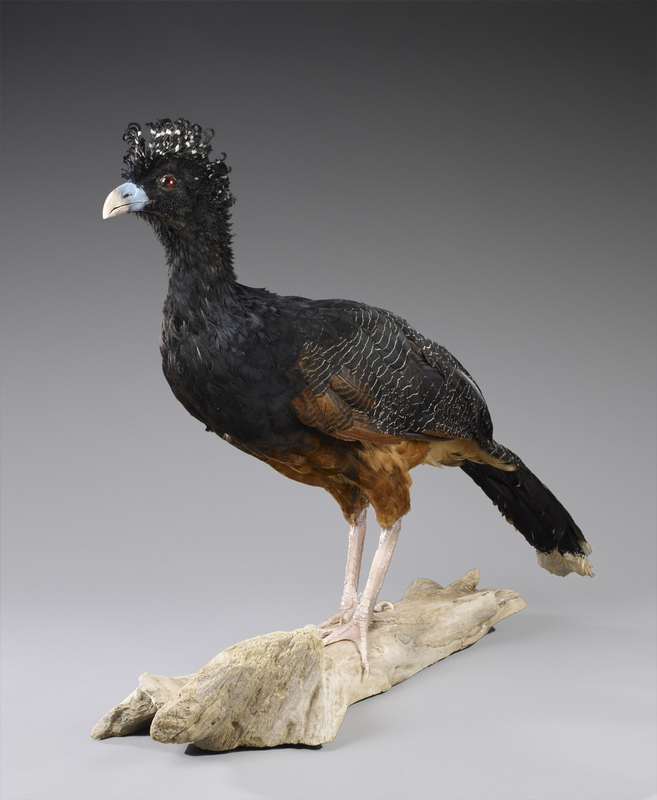 The tasty flesh of this turkey-sized bird, combined with destruction of the rainforests it thrives in represent the primary threats to this and other members of the Cracid family. This species is considered Critically Endangered by the Cracid Specialist Group, as its global population certainly can not exceed 2000 individuals. It is certainly among the rarest of vertebrates in the collection. You can see larger and more detailed images of this rare specimen – as well as the others we’ve posted so far this year – in the photo gallery on hmns.org.